Next up on murmur sees the addition of a new artist onto our roster of talent. 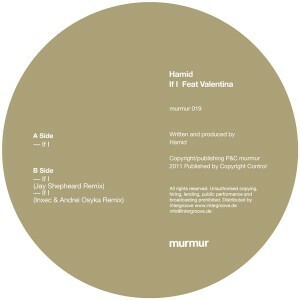 London based Hamid's debut features the vocal talents of Valentina, her sultry vocals laid over an intoxicating deep house ride, perfect for those after hours vibes. Up & coming talent Jay Shepheard provides the first remix; fresh from his latest excursion on this own Retrofit label, Jay firms up the beats & percussion, adding a catchy b'line and twinkling synth work into proceeding. 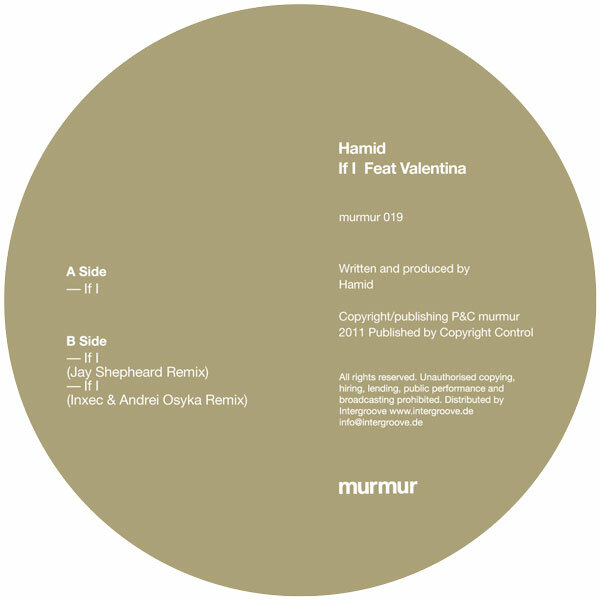 Finally, Inxec & Andrei Osyka up the stakes, taking the core elements of Hamid's original and taking them to new euphoric heights with an altogether more epic vibe.